I first read this book back in junior high and it stuck in my mind ever since as an all-time favorite. Re-reading such books fills me with excitement to re-live the wonder the story aroused in me the first time as well as trepidation that it won’t live up to my memory. 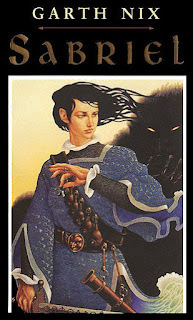 Over a decade later and SABRIEL impressed me as much as on my first read as a teenager. This story follows Sabriel, daughter of the Abhorsen responsible for keeping dead things dead. A literal wall divides the magical from the non-magical. On one side, you have creatures rising from the dead in abundance while skilled necromancers keep them from ever reaching or passing the wall. On the other, you have a world more recognizable to us. Many guards on the wall believe the fantastical rumors, but the farther away from the wall you go the more haughty skepticism you’ll encounter about undead threats. Ironically, Sabriel grows up among these doubters while her father handles said threats. 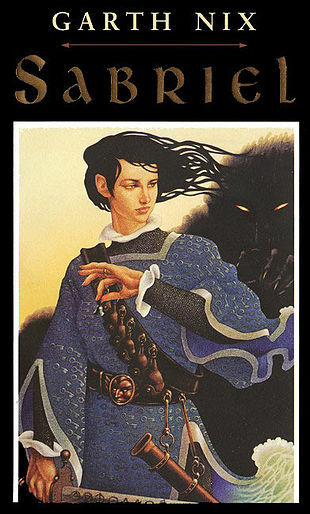 One day, through a mystical, telepathic-type connection, Sabriel realizes her father has died, making her the next Abhorsen, not to mention a daughter determined to find out what happened to a father she loved but barely knew. There’s a quote on the back of my copy from Philip Pullman describing this book as “fantasy that reads like realism.” I entirely agree. As someone who spends a better part of her life pushing book recommendations on others, SABRIEL stands out as one with an unlikely, eclectic mix of fans. Generalizing, I don’t like undead stories, but Nix’s take on zombies doesn’t even feel like the same genre that I dislike. I also don’t like action scenes; I skim the chase or fight parts and skip to the resolution. Yet when Nix writes a battle or an escape I find myself glued to the page, savoring every word of the scene playing out in my mind. I have also recommended this book to people who don’t like fantasy and nevertheless they enjoy it. I believe the core of making any book feel so real is the characters. While Sabriel herself doesn’t go down in my mind as a fascinatingly unique character, instead I see her almost as a kind of every person. True, her exceptional bravery in unlikely circumstances should be acknowledged, but there’s also a relatable sense of child groomed to follow in a parent’s footsteps. 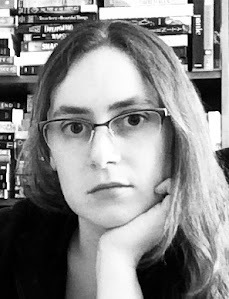 Maybe we see this situation in our modern world more with doctors and business owners than necromancers, but I view Sabriel as a down-to-earth, every day heroine fated with an absurdly heavy burden of responsibility. It’s been so long since I last read this book that I managed to forget several important details and twists and found myself delighted whenever the story took me by surprise. I entirely forgot about Mogget, a literal demon cat. There’s something so darkly whimsical about Mogget, and reminiscent of Salem from Sabrina the Teenage Witch. Once upon a time he was a horrifying creature from our worst nightmares, until someone imprisoned him in the form of a cat with a catlike personality to boot. However, for a morbidly humorous twist, Mogget has a way of escaping his cat form at the worst possible moments. Whenever Sabriel finds herself attacked by some terrible beast, you should bet on Mogget slipping his leash, too, so to speak, and adding himself to her list of problems. I also love the concept of the wall marking literal division, both geographical and social. On one side you have horrors as well as those who protect us from said horrors and on the other a quiet, content lifestyle so safe one doesn’t even believe in said horrors. It’s a powerful metaphor and a thought-provoking dynamic. SABRIEL more than lived up my memory on re-reading and I look forward to delving into the rest of the series.